Elegant and functional modular cabinets! We specialize in customized Modular Kitchens, Wardrobes and Storage Cabinets. To bring you the best, we have partnered with reputed brands for Kitchen Appliances, Kitchen Accessories, Wood Flooring and Furniture. Our brand is built on customer focus, design excellence and quality assurance. Are you finicky for top-notch fit and finish ? Want a wide range of material options to choose from ! Customization is high on your list ! You are okay with the price that justifies the product but no more !! Hi ! !....you look like our client :) read below.... We at BAKA kitchens and Living have been finicky about fit and finish of products that roll out of our factory bearing our name. We don't want just your approval, but only a WOW will make us happy !! It is for this, that we have created our entire product portfolio and developed a work culture. To create happy stories for you and us :) Do drop in at our website www.bakakitchensandliving.com and also our projects page here and see if you like what you see. We would be happy to connect with you and understand if we can deliver your dream home !! 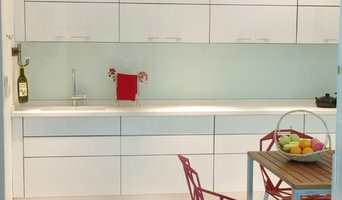 Dream Kitchen Interior - We are specialized in Modular Kitchen, Wardrobes, and Coverings. We provide one-stop factory-finish solution for your Dream Modular Kitchen requirements.Dream Kitchen's Team has over 300 projects experience of Modular Kitchen interior design & fabrication we have expertise in designing modular kitchen and other related household interior projects etc. Infinity Designs ABOUT US: Infinity Designs is a registered Company situated at Ramapuram, Chennai – 600 089 (Tamil Nadu). The breathtaking creativity Of Infinity Designs is made possible by the technological back up and a strong in-house team of qualified and experienced artists and designers. They are capable of executing even the most difficult designing assignments. Today, the company can undertake any customizations in Small & Big size Glass Designs. The USP for Infinity Designs is that we have monopoly in customization of designs & sizes, which results in a strong network consisting of dealers and distributors. OUR PRODUCTS: Glass & tiles Highlighters New stylized series in 600x900 mm till 24000x1200 mm which is pioneered by us in newfangled designs, textures and colours. 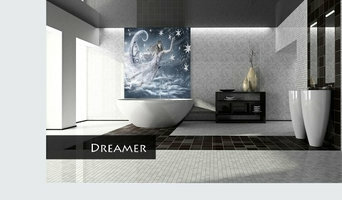 Any design can be printed on above said glass & Tiles. We also undertake special designs on bigger glasses. Being the first of its kind manufacturing unit, it promises freshness with each design. With over 500 unique designs on offer, we currently cater to some reputed names in the market. It is the versatility of tiles which has been driving the growth of the industry. While lending themselves to the imagination of designers in fashioning out stunning combinations, it is possible to produce highly stylish and simulated tiles that could bring smiles and positive vibes all around. Annsun kitchens & wardrobes (p) ltd was established in 1998. The director’s dream of making exquisite kitchens with native yet contemporary designs came true, with the launch of the company. Adept and Dexterous, they have steered the company, successfully for more than a decade now. We now boast of a team working hand in hand to bring the dreams of our customers come alive. Team annsun kitchens are meticulously designed, manufactured in their fully mechanized factory and installed at the customer site. 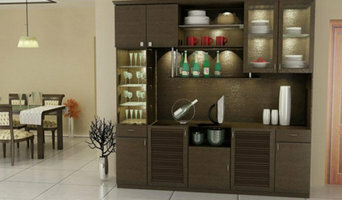 Wardrobes manufacturing and Modular kitchen designing are our key functional areas. We are catering to the current design trends in designing best modular kitchens, Our carpenters are on the lookout for the hot and happening aspects of kitchen furnishing industry and work on making prototypes on the basis of thorough analysis of customer requirements. 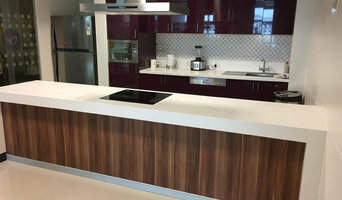 - Ensuring the best possible solution to your Dream Modular Kitchen requirements., We are using quality base materials as per industry standard. - Have vast experience and designed hundreds of modular kitchen units for households, hotels and industrial kitchens, Our team has the much needed expertise in designing wardrobes and other household interior products too. - Our commitment is to deliver the promise within stipulated period and budget specified by customer.. - Kitchen must be a place to relieve stress, and cooking as a physical and chemical process needs right compatible ambience, tools and impediments to make cooking as a tireless hobby. - Our range of modular kitchens are designed to hook the cook in kitchen by incorporating aesthetic umpteen storages, cupboards and space saving modules. Happy that, We cook the design for your kitchen needs. COOK IN STYLE is one of the pioneers in rendering turnkey interior solutions for residences, SBE IT Apartments, Independent Bungalows or Villas, Duplex or Pent Houses etc., for the past 8 years in & around Chennai and most of the renowned cities in Tamilnadu & other Southern Metros in the Country as well.Our ever growing clientele stands testimony for our quality standards, adopted during designing stage, execution stage and even after completion of the project. All our projects are time bound as we sincerely believe that TIME IS MONEY.We have in house teams of Designers, Decorators, Engineers, Project Managers and Site Supervisors who have vast experiences & exposures in handling varieties of residential projects. All our projects are executed by skilled teams of Professional Carpenters, Painters, Polishers, Tile layers & other streams of workers etc. Why do I need a professional who specializes in kitchen and bathroom renovation and design in Chennai? While looking for Chennai bathroom remodeling contractors or kitchen renovation experts you may often find professionals who specialize in both rooms. This is because these space have a lot in common. Kitchens and bathrooms include an abundance of fixtures that require careful planning and installation, including sinks, faucets, tubs and toilets that all need water hookups and drainage. They also use similar materials, such as tile and stone for countertops and flooring, due to the nature of their use. So it makes sense that professionals who works on the kitchen remodel and design also works on the bathroom construction or redesign. What do Chennai kitchen designers or bathroom remodel professionals do? Bathroom designers, as well as kitchen designers in Chennai, are constantly staying on top of trends in the ever-changing industry. The designers know the best layout for your room, and can configure the layout for optimal functionality and utilization of the space. In the kitchen, the refrigerator, stove, and sink should be laid out in relation to one another, and it should be seamless and easy to move from one to the other. A kitchen and bathroom designer in Chennai will know how to work with a contractor and architect to plan the flow of the room to work best for your needs. Most bath & kitchen renovations involve architectural plans from page to reality; these contractors are also trained to provide design services so that you don’t have to hire a separate pro. Like a general contractor, a Chennai kitchen and bathroom remodeling contractor is responsible for hiring and supervising subcontractors and providing materials when necessary. Find a bathroom and kitchen designers and renovator on Houzz. Narrow your search in the Find Pros section of the website to bathroom and kitchen designers in Chennai. You may also look through photos of spaces to find kitchens or bathrooms you like, then contact the bathroom or kitchen designer who worked on it.